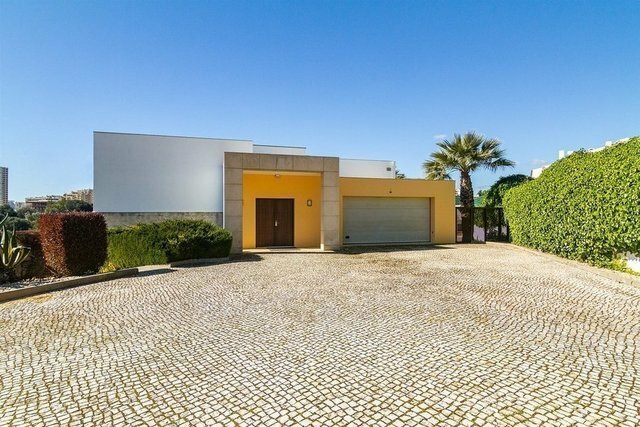 Magnificent property, next to one of the most beautiful beaches in the Algarve Luxury villa located in a quiet urbanization 300 meters from Praia da Rocha. Contemporary style, has been completely remodeled, has six bedrooms en suite, a huge living room, a large kitchen and a laundry area, garage for three cars. The whole house is equipped with air conditioning and solar panels for water heating. It has a garden area and a swimming pool to enjoy a pleasant outdoor area. This villa is prepared to be used as a guest house or as a family home.